Some of the best views are in fact from the standing areas; you might consider also purchasing one of these tickets for maximum mobility. VIP Village is the best hospitality option at the event. TEAM EXPERIENCE: Our special Team Experience packages are available for this event. This sets you up as a guest of one of our sponsored teams for a day or the weekend, with paddock access, pit visits, rider meetings, and more! 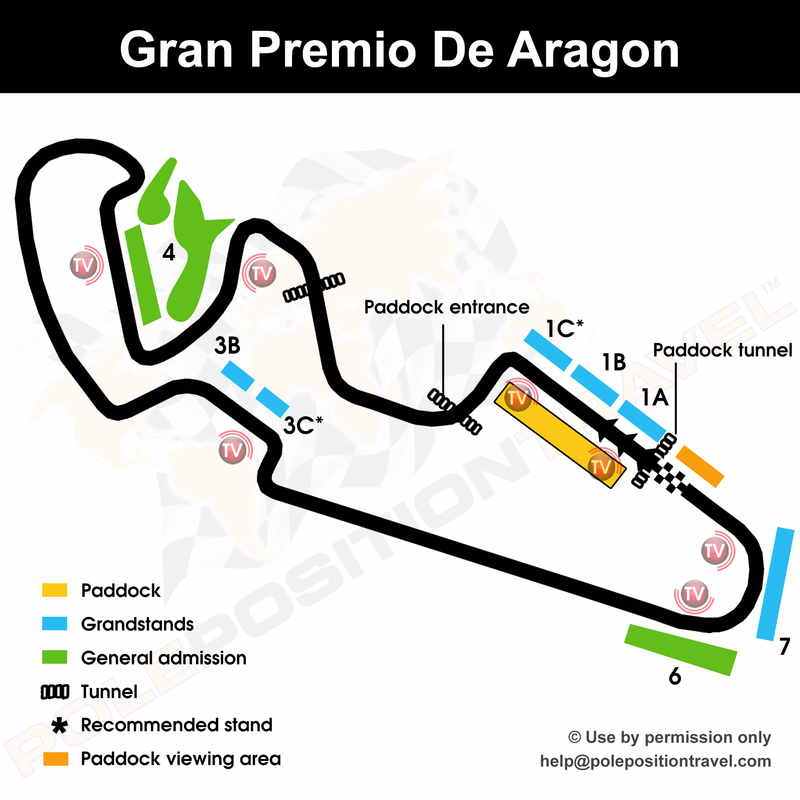 Strongly recommend this option at Aragon - the paddock is lightly attended, and may be the best value team experience of the season!